It’s Day Nine of National Sewing Month! 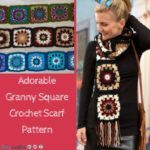 Too see the daily blog posts, projects of the day, and more National Sewing Month details, click here. We’re so pleased to welcome Anorina Morris from Samelia’s Mum here today! 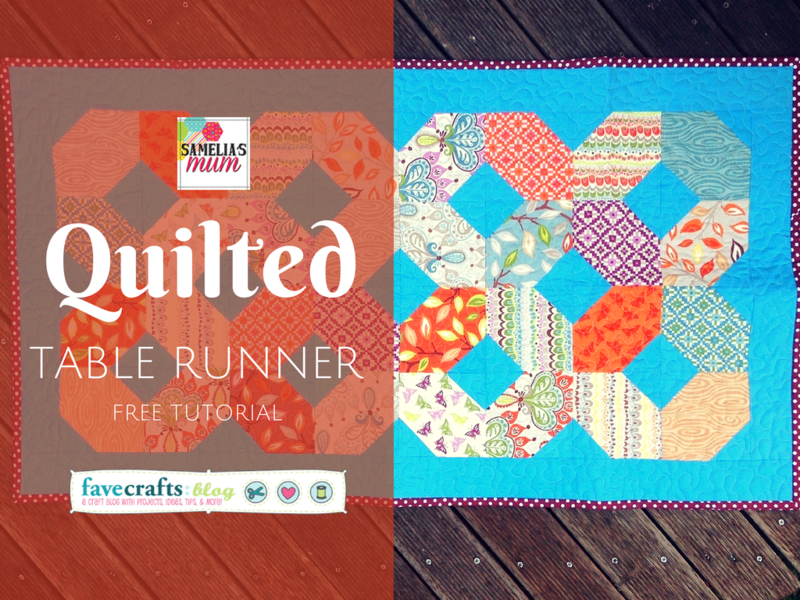 Join her as she puts together this lovely quilted table runner. 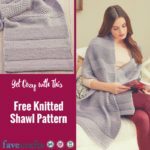 A seam allowance of ¼ inch is included throughout. Requirements are based on fabric 112cm (42” wide). Place a 2.5” solid square on 2 diagonal corners of each of the 32 charm squares. 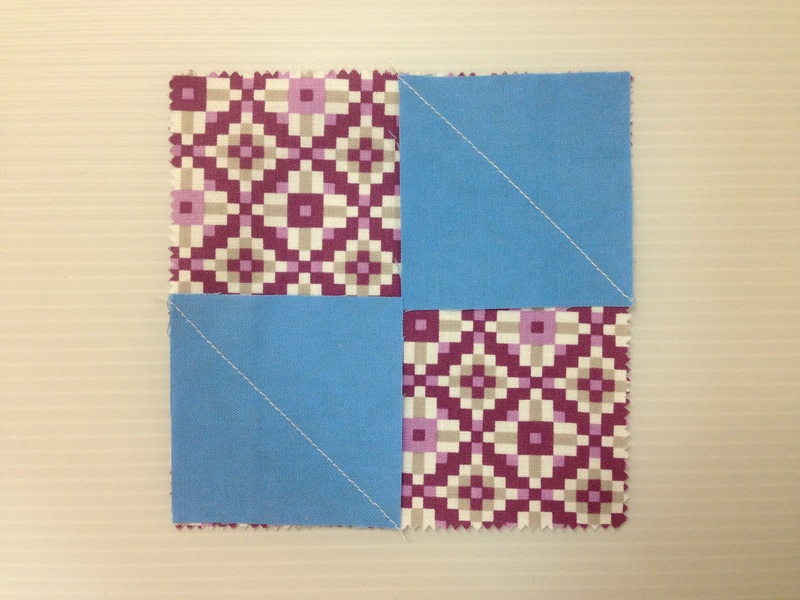 Draw a diagonal pencil line across each solid square (optional) and then sew the solid fabric squares to the charm squares (per the diagram below). Trim the corners ¼” from the seam and press open (as per the diagram below). Repeat this step to make 32 blocks measuring 5” square. Arrange and sew the blocks as per the diagram below. Sew the 2 short border strips to either end of the runner top. Sew the 2 long border strips to either side of the runner top. Piece the backing if required. Layer the batting square over it, then the well pressed runner top. 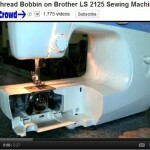 Find all of Anorina’s projects on AllFreeSewing right here. 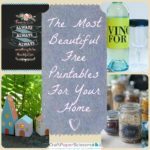 To get even more of her creative ideas, visit her blog, Samelia’s Mum today! to those who haven’t started: What R U waiting 4? Join a group. Church, college, jr hi, hi school, senior center. Just find one. Everyone who quilts loves to help beginners. I never met such nice people. 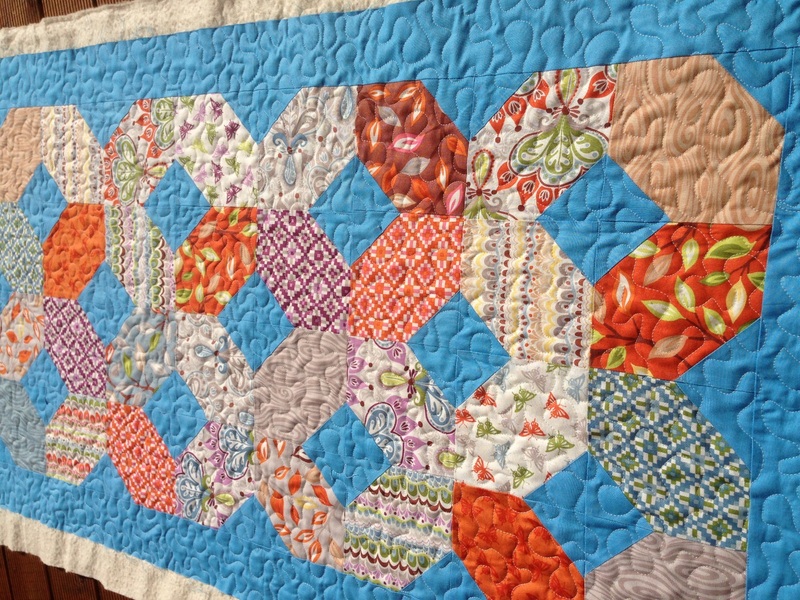 Go to a quilt show, but don’t be intimidated by the gorgeous quilts that you will see. One warning. It is not a cheap hobby to start. You’ll need at least one ruler, rotary cutter and extra blades, cutting board, fabric of course, scissors 1 large one small. You don’t have to buy everything all at once. 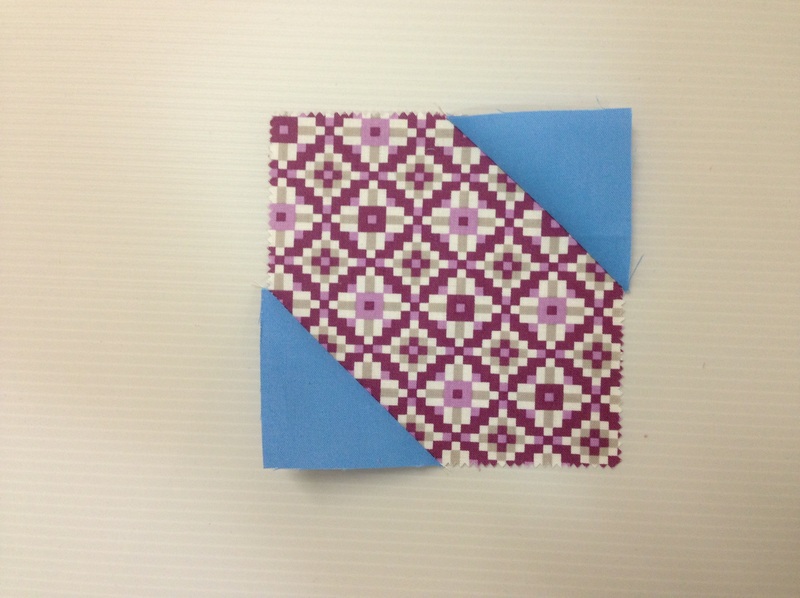 Another idea is a small quilt kit. My first quilt was “Trip around the World” in a class held at Hancock Fabrics. I loved the way the strips work up into the around the world pattern. PS Rotary cutters are very sharp ALWAYS close it when you finish a cut. The first quilted item I made was a baby blanket for my daughter 43 yr. ago. 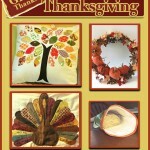 I joined our sewing club at church a couple weeks ago & they are working on table runners. I plan to make a t-shirt quilt for my daughter out of her Girl Scout shirts. I stitched a doll’s quilt and then quilted it by hand. I was ten years old. I watched my Gt. Grandmother who was 80 yrs. old when I was born. She did beautiful postage stamp quilts and quilted by hand. I was very blessed; she lived until I was 16 yrs. old. I have a postage stamp quit that she made on my bed now. 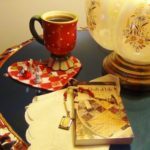 I have belong to my quilting group for 8 years. 34 years ago I took a class on hand quilting. It was a floral design on solid fabric for placemats! 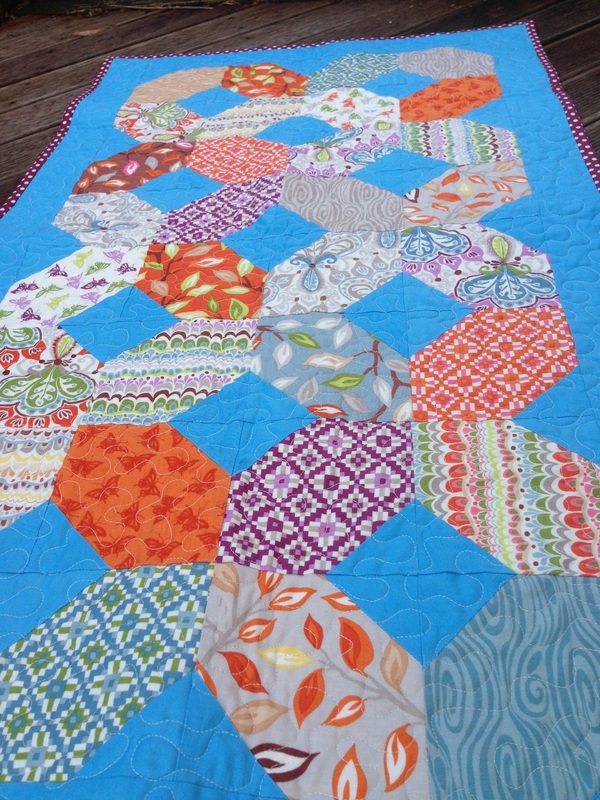 My first quilt was a double bed quilt. It turned out good. I’m still learning. My husband found out that he is part Cherokee Indian. I got interested in Indian art and took their designs and made patches reproducing the design. I labeled each design with the tribe whose art was on the patch. At one time I knew which books I got my inspiration from but have misplaced that in a move. Since then I have done a quilt of cattle brands of my family and friends. Then I did a BIG project of veterans in my family and my husbands. Pictures, unit patch and name on each quilt patch. There was even one dog on the quilt that served in WWII. took me years to get all the information. Took a lot of money too! But I get asked to display often around Veterans Day. I often look at patterns on this site. 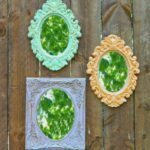 I am continually trying new craft ideas. 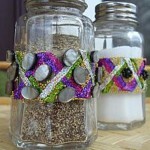 This one I am going to make for my sister-in-law as a housewarming gift. 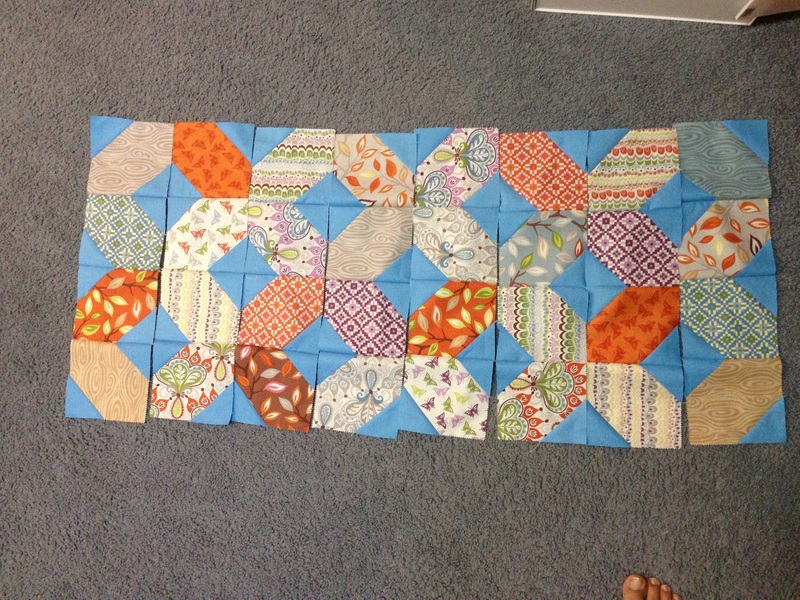 It’s not that long ago… I made a simple rectangle in square quilt for my Mum. I had it commercially quilted and it got me hooked on making quilts. 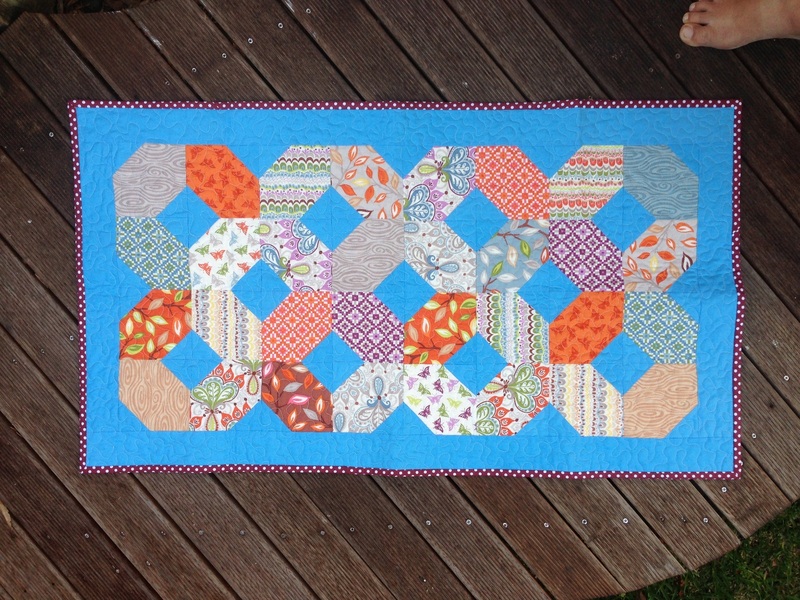 Now I’m a fully fledged quilting addict (and dang proud of it!). Thanks for the giveaway! Searching my mind, which is not an easy task, I think the first quilt was made of polyester knit. It was done in blocks of pastels and hand tied. Our daughter is the owner;her many nicknames were embroidered on the blocks[Minnie, Tootsie, Turtle, Na, and Henry are a few of them and now her daughters would like one like their mothers. This quilt is still in use today; remember polyester knits wore like iron! 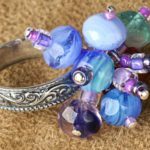 Now I’m using cottons and loving all the designs found here and on Samelia’s site. This table runner is on the list to begin for Christmas of 2014—unless one of the girls find the stash of next year’s gifts. Thank you so much for inspiring this great-grandmother to keep busy and loving it! Love, love this quilt, I’m to make my husband one for next year gift since its almost christmas ,and I know I dont have much time.but for sure make this quilt. So nice and looks so easy !Merry Christmas .